Going out on your own terms is exactly what Walter George Bruhl Jr. did. He wrote his own obituary, and it’s hilarious. “There will be no viewing, as his wife refuses to honor his request to have him standing in the corner of the room with a glass of Jack Daniels in his hand, so he would appear natural to visitors,” according to CapeGazette.com. This reminded me of Bernie Lomax in the movie, “Weekend at Bernie’s” (1989). An Irish wake is an occasion for both sadness and merriment. In this movie, death is a dark comedy. 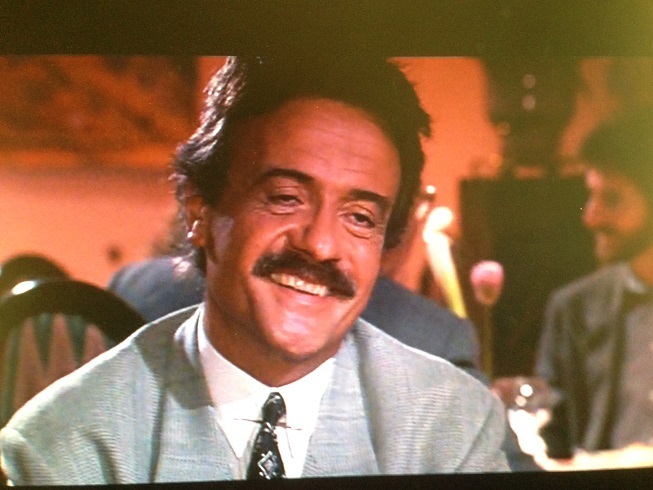 Bernie Lomax (Terry Kiser) had it all: a cushy executive job at a New York-based insurance company, a flashy sports car, hot babes and a beach house with endless parties. He was the ultimate host. Just one problem. He’s dead. Despite that, he is still the life of the party. No one seems to notice that the party-guy is a real stiff. That wasn’t the ending Bernie had in mind when two of his employees – Richard Parker (Jonathan Silverman) and Larry Wilson (Andrew McCarthy) – discovered someone ripped off the firm for $2 million. Hoping this would lead to a promotion, they couldn’t wait to tell Bernie. He lured them to his beach house for the weekend with the promise of a fun getaway. Instead, Bernie turns to his Mafia partner, Vito, and asks him to knock off Richard and Larry because they discovered his scam. The mobster, however, decides Bernie’s the one who’s got to go because he’s been getting greedy. Having an affair with Vito’s girlfriend was the final nail in the coffin. The mobster orders a hitman, Paulie (Don Calfa), to rub out Bernie. Before Richard and Larry arrive at the beach house, Paulie kills Bernie. When they find his body, their weekend plans appear to be dead in the water. Then, the partiers arrive. Richard and Larry prop Bernie up. With his sunglasses on and perpetual goofy grin from the fatal drug overdose, no one notices that he’s shed his mortal coil, and the party goes on. Richard insists on calling the cops until he sees his office crush, Gwen Saunders (Catherine Mary Stewart), walk in. The next morning, Richard and Larry discover a taped phone message that Bernie had accidentally recorded. On it, Bernie tells the hit man to kill his two employees and make it look like a murder-suicide. That’s when they realize that their best bet for staying alive is to make it look like Bernie is still around. Larry has rigged it so that Bernie appears to be waving as friends pass by. They also tie his shoes to theirs so it appears he’s walking with them. And Bernie keeps popping up in all the wrong places. The sightings of Bernie convince Vito that Paulie has botched the job. So Paulie’s ordered to return and take care of Bernie permanently. That’s a tall order for a guy who just won’t stay dead, and it’s driving Paulie crazy. So, Bernie is having the time of his life death. But, I would rather have the last word like Walter George Bruhl Jr., who died March 9 in Punta Gorda, Florida, and wrote his parting shots in his obit. For years, I’ve told my husband, Dave, that I want an Irish wake with me standing in the corner with a glass of wine. Also, a ticker-tape parade. He assures me that he’s working on this as we speak. I’ve asked my friends to nag remind him of my final wishes. That would be the ultimate send-off. About 10 years ago, I asked one of my friends to do my obituary when I died. He’s a great speaker and has a great sense of humor. I didn’t (don’t) have any intention of it being sad. He took the challenge seriously and has written and rewritten it at least 5 times constantly updating as I do things. I think the whole thing is hilarious! I went to the funeral of the son of a co-worker. He was killed by a train in his car. He was 35. Very, very sad. The line was outrageous but we could hear the strains of the Beatles. As we got into the funeral home, we heard the Eagles, the Rolling Stones, etc. Despite massive injuries they had the casket open so you could see the top part and he was dressed in a Penn State sweatshirt. It was one of the most lighthearted (if you can at all use the term in this case) funerals I have ever attended. It’s what I want. People thumping their feet to good music and remembering good times. I’ve been to a few funerals where I laughed and I cried. Family and friends told stories that reminded us all of the many good times we had. People who display photos of the departed – in various stages of their life – also brought back many happy memories. Very appropriate post for St. Patrick’s Day weekend. You certainly have a very accommodating spouse! Thanks, Marian. Glad you like the post. Dave is a great guy. This morning, I wanted to be the first in line for some lab tests (nothing serious). The lab opens at 7 a.m. I was there at 6:45 a.m. Dave worried that I shouldn’t be alone in the dark so he went with me. Comforting. Dave sounds like my CareBear Cliff, even wrote a blog post about him! 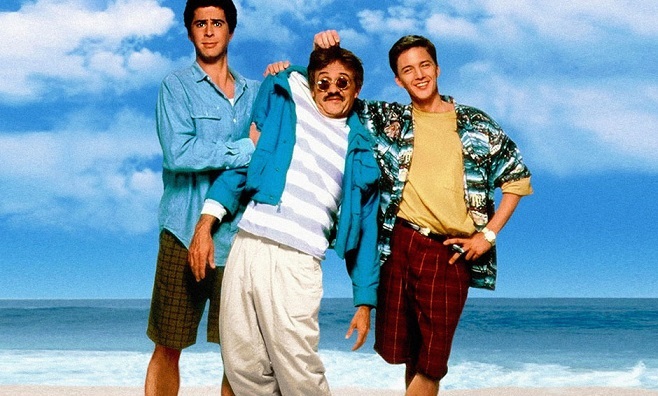 My friend’s older brother was dying of pancreatic cancer when WEEKEND AT BERNIE’S came out. It was also near his birthday, and he asked us to take him to see the movie and let him have all the buttered popcorn, chocolate-covered peanuts and huge-sized Coke his oncologist and his wife had forbidden him to have. At the time we didn’t know about the oncologist and wife forbidding him, so we pulled out all the stops. He ate and drank and laughed and wiped away tears, and as I drove them back to his house, he said that the movie–and the entire evening–had made him much less afraid. It was one of those evenings you do not forget. What a beautiful memory. Few movies have made me laugh as much as this one has. Thanks, Marilyn. I’ve told everyone I don’t want a funeral. I’m not coming in the first place. It seems a much happier send off. I agree, Kate – must look presentable. 😉 Loved “Moonstruck,” but it’s been years since I’ve seen it. Loved those crazy characters. I love the quote from the obituary. When one of my Grandfathers passed, he was prepared dressed in his favorite button down sweater with a crab mallet in his hand. He was from Baltimore and had been a bus driver all his life, no one would have recognized him in a suit. Certainly he was, and just one of those people that everyone liked, you couldn’t really help but like him. I’d forgotten about that movie. Now I’m totally going to watch it again this weekend! An oldie, but a goodie, Lisa. I chuckle just thinking about this movie. Enjoy! I’ve never been to an Irish wake. The difference, regarding my desire to have one, is I’d like to be around to enjoy it. 😉 And, yes, I’m all in favor of a ticker-tape parade. That would be great fun. I love the memorial services where people tell stories about the dearly-departed’s life and have photos of them in various stages of life. That, to me, is a wonderful way to remember the person you knew. One of my favorites. These are the movies I grew up with. I watched it several times and always makes me laugh every time.